Spend afternoons collecting shells on the beach or jumping through waves in our fun printed swimsuit. 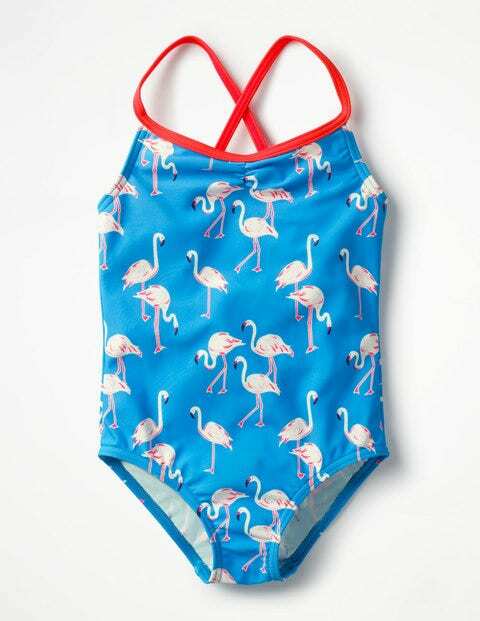 Budding swimmers will love our easy-to-wear style – it's sure to stand out in colours as bright as the sun. The contrasting cross-back straps will keep it secure and comfortable no matter the mission.